Bora Bora is one of the islands that comprise the French Polynesia in the South Pacific region. The beach stretches for 18 miles. 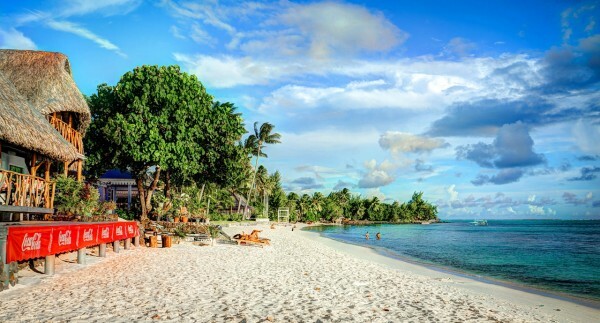 The beach lies in a protected lagoon, which has magnificent white sandy shores. Matira Point has the best shores. Bora bora has been nicknamed ‘The Romantic Island’. There are several reasons for this, including isolated beaches, luxury hotels, and pleasant atmosphere. However, avoid confusing candle-lit serenity with boredom. There are a plethora of activities for adventure lovers. Shark-feeding expedition is one such activity. Alternatively, you can take a jeep tour to visit the island’s rough interior. 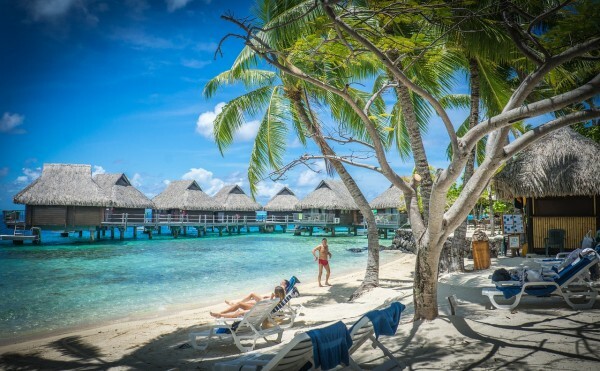 To obtain the black pearl you may have to tour the island of Tahiti. Visitors will also get a glimpse of the memorabilia belonging to World War II as Bora Bora served as a refueling base for the American Army. From Matira is visible a coastal defense gun installment. You can explore several military landmarks through a driving tour. The most popular activity of the beach involves lazing all day long. Sunsets across the blue turquoise water are particularly brilliant. To get to the beach, visitors need to fly to Papeete in Tahiti. This flight lasts for seven and a half hours from Los Angeles. From here, they can catch a short flight to Motu Mute, a tiny airport in Bora Bora. It is not a good idea to snooze during this time. Visitors should keep their eyes open to witness the beautiful scenery and the azure waters of the beach. The island has no public transportation. Most hotels offer shuttle service for touring the island. Visitors who wish to explore the island should rent a car, bike, or bicycle. You can visit Bora Bora anytime of the year. The South Pacific is blessed with ideal weather all year round. The average temperature hovers around 79 degree Fahrenheit. The area surrounding the beach ranges from 26 degree Celsius to 29 degree Celsius. The island is home to a number of resorts that suit every budget. Most resorts offer traditional rooms and wonderful bungalows. These bungalows provide all major amenities. These bungalows are luxurious and cozy. Visitors can indulge in snorkeling and swimming. The local cuisine is based on the flavors of sweet coconut, vanilla, and fresh seafood. The national dish of Tahiti is poisson cru, which is a mixture of raw fish and diced vegetables. This mixture was marinated in lime juice and coconut milk. The cuisine is primarily Polynesian. There are many restaurants that serve French dishes, pizzas, Chinese delicacies, and American grub. Bloody Mary offers barbecue dishes. Chez Ben’s is a popular snack bar. Bora Bora is not the ideal place for travelers looking for a wonderful nightlife. Visitors can indulge in romantic strolls on the beach. They can also enjoy drinks at beach bars. Scuba divers and snorkelers have plenty of opportunities to get close to the sea creatures. The depths can reach 200 feet. Explorers are sure to encounter eagle and giant manta rays. The coral beds are colorful, and they strike the eye. Visitors may also encounter some sharks.